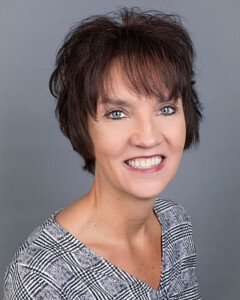 Tesha has worked in the dental field since 1992 while attending MSU. At our office, she is responsible for setting up financial contracts, scheduling, confirming patients, and all business in our front office. 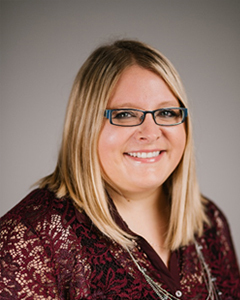 Tesha enjoys working with people and getting to know our patients and their families in our fun, energetic practice. Tesha and her husband, Todd, live in Minot with their children. She loves spending time with family, camping, and golfing. Kelli enjoys getting to know the patients and seeing their transformation from start to finish. 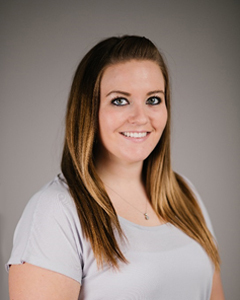 Kelli's duties include assisting Dr. Vibeto with adjustments, taking impressions and X-rays. Kelli's favorite aspect of working for Dr. Vibeto is seeing how much he cares about the patients and the great staff that works so well together. Kelli is from Minot, ND. She has three children: Jordan, Abbi and Braylee that keep her very busy with their activities. She also enjoys camping and being out on the water. Laura works alongside Dr. Vibeto, assisting with adjustments, taking X-rays and impressions, and sterilization. She enjoys getting to know the patients and learning how to help people achieve a great smile. She loves working with Dr. Vibeto and his easygoing personality. 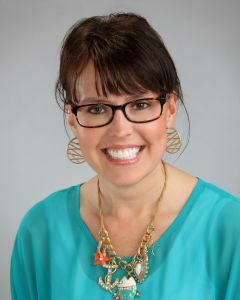 Laura is a native of Minot; she went to assisting school in Oregon and has been working in the dental field since 2009. She enjoys spending time with her three dogs, family, and cooking. Tanya has been working in the dental field since 2001, she enjoys working with Dr. Vibeto because he is so passionate about his job and helping create a beautiful smile. She loves getting to know the patients. 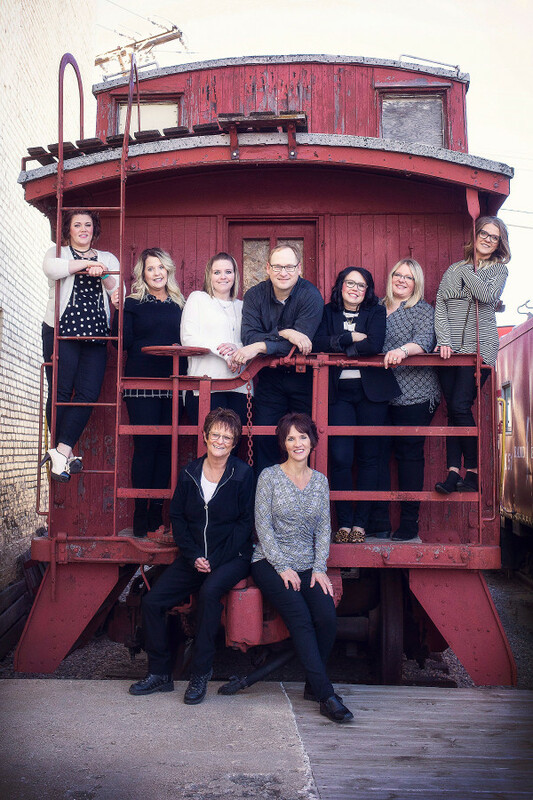 As an assistant she helps with all the aspects that go into creating and preserving a great smile, such as impressions, x-rays, retainers and adjustments. Tanya also helps with scheduling and financial coordination. 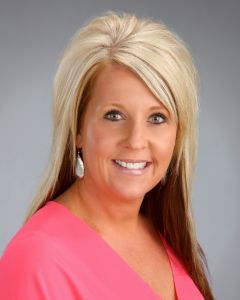 Tanya and her husband Tracy have three children, Cody, Carson and Abigail, she loves attending her children's activities and spending time with family at the lake. Liz has been in the Dental Field since 2013. She works alongside Dr. Vibeto for adjustments, bandings, de-bandings, impressions, X-rays, and sterilization, to name a few. She loves seeing the smiles Dr. Vibeto’s treatment provides in a very positive and relaxed atmosphere. She grew up in Mohall, ND and now lives in Minot with her husband Brandon. They have two dogs together, Diesel and Zoey, and enjoy doing house and yard projects while still making time for family and friends. Kim is from Minot. She graduated from NDSCS in 1998. 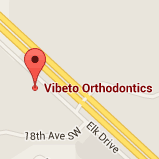 She has enjoyed the transition from general dentistry to orthodontics with Dr. Vibeto. 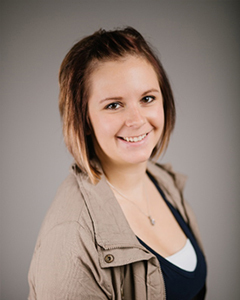 Kim’s duties include assisting chairside, taking impressions, and taking xrays. Kim is married to Jared and they have a son Corban. They enjoy traveling to Arizona to visit her family, going to the lake and watching UND hockey games. 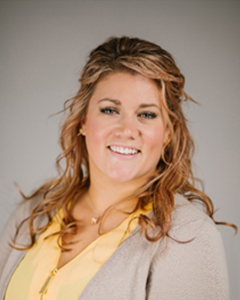 Brittney has worked in the dental field since 2014 and moved to orthodontics with Dr.Vibeto in January 2016. 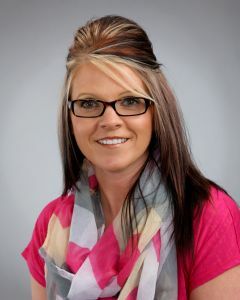 Brittney moved to Kenmare with her husband Ethan after finishing Dental Assisting School in Watertown SD. Brittney enjoys playing with her daughter who was born in May 2016. Monica assists Dr. Vibeto with adjustments, takes X-rays and impressions, and creates appliances to help our patients achieve great smiles. She began her career in 1992 and has been a part of our team since 2018. Monica enjoys seeing the excitement of our patients when their braces finally come off and their new smiles are revealed. She also appreciates working with such a dedicated team and doctor. Brenda works at our front office, where she greets patients and schedules appointments, as well as in the lab and sterilization. 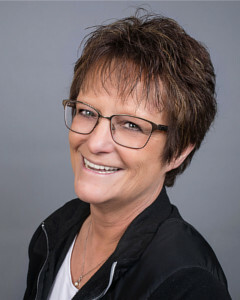 With more than 25 years of experience, she joined our team in 2018. Brenda enjoys seeing the amazing changes in our patients’ smiles, along with their increased confidence. Brenda is married and has three spoiled dogs. They enjoy camping, boating, and riding motorcycles as often as they can, as well as spending time with their two sons, daughters-in-law, and three grandchildren.